Russia conveys unambiguous message to Israel that there is nothing preventing it from selling S-300 missile defense system to Syria. In the past few days, the Russian government has conveyed an unambiguous diplomatic message to political sources in Jerusalem that, if it should feel the need to, Russia intends to sell the advanced S-300 missile defense system to the Syrian regime. The Russians explained that after the American intervention in Syria and the recent bombing in cooperation with Britain and France, they were committed to helping the Syrians defend themselves in the best possible way. Last week, Israel emphasized to Russia that the sale of the advanced S-300 missile defense system to the Syrian regime constituted the crossing of a red line. 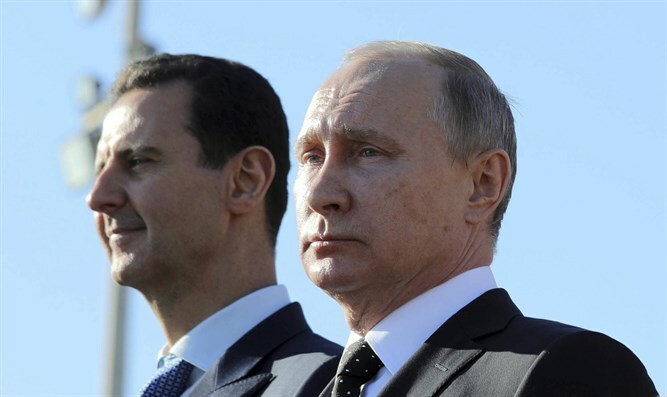 A political source who revealed the message in a conversation with Arutz Sheva stated that the message was conveyed following a Russian Defense Ministry announcement that Moscow was reconsidering the sale of arms to the Syrians following the joint attack on Syria by the US, Britain, and France. The S-300 system could be a very significant upgrade to Syria's air defense, which is now based mainly on purchases from the former Soviet Union, since no country has ever agreed to sell an advanced system of that kind to the Assad regime before. In 2016 Russia renewed the sale of the weapons system to Iran. The deal was signed in 2007 but was frozen following the international sanctions imposed on the Iranians. The regime of Ayatollahs in Tehran has expressed interest in purchasing the S-400 missile defense system. This more advanced system has not yet been sold to any international actor and remains solely in the hands of the Russian military.